This work is to compile our current knowledge on GY phytoplasma biology at the genomic, transcriptomics, proteomics and metabolomics level, as well as to summarize the approaches for their detection.Phytoplasma are the most poorly characterized plant pathogenic bacteria from the Mollicutes class. 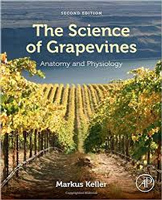 In recent years new biostatistics and bioinformatics approaches have improved our understanding of their biology and interactions with host grapevines and a great improvement has been made toward their molecular detection, both in laboratories and on-site. They have a broad range of plant hosts among the monocots and dicots, and diseases of many important crops are associated with these pathogens. 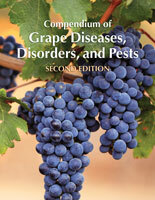 At least ten taxonomically unrelated phytoplasmas, one of them a quarantine pest in Europe, have been associated with grapevine yellows diseases (GY), which have great economic impact on viticulture worldwide.